Georgetown University in Washington, D.C. held an official “Respect Life” forum, the first for the Jesuit university that last year saw Planned Parenthood president Cecile Richards receive a standing ovation from students. Once you accept the thesis that it is all right to kill human life before it is born, or as it nears its end, or for some other reason, at almost any time, you accept two premises: that we, human beings, have the ultimate say over all life and who gets to live and that such a decision is ultimately arbitrary. According to the Register, the idea for the pro-life event came from Georgetown faculty members. Dr. Kevin Donovan, director of the Pellegrino Center for Clinical Bioethics and professor of pediatrics at Georgetown University Medical Center, moderated the forum. University president John DeGioia publicly supported the event. 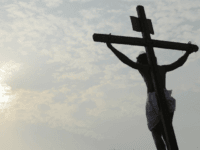 “Each of us is asked to heed this call,” DeGioia said. The forum also featured Helen Alvaré from George Mason University School of Law; Tony Lauinger, vice president of National Right to Life and a Georgetown alumnus; Sister of St. Joseph Mary Louise Wessell, founder and program manager for the Tenant Empowerment Network (TEN) at Catholic Charities; and Rep. Brad Wenstrup, R-Ohio. Donovan said that, during October – when the Church in the United States celebrates “Respect Life Month” – the university had an ideal opportunity to make a strong public witness to the university’s Catholic and Jesuit traditions. “We received a lot of very positive responses, both to the concept and the execution,” he told the Register. Donovan added that while they planned the pro-life forum to show how individuals from various professions are insisting all lives are “worthy of respect,” the speakers showed how the term “pro-life” reflects not only a position against abortion, but also for the advocacy of all human life from conception to natural death. 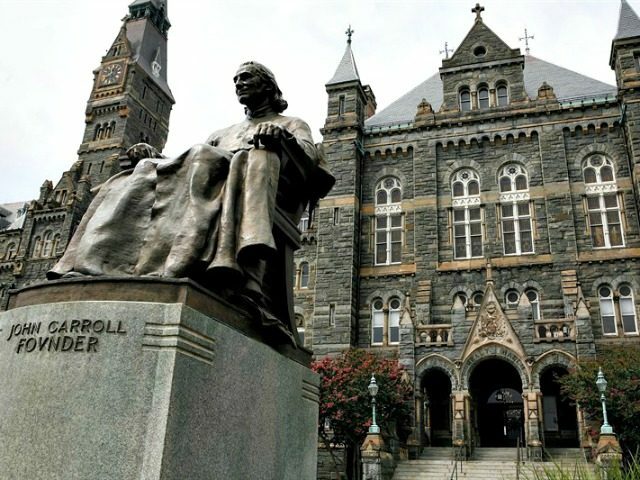 Georgetown officials were criticized by some Catholic and pro-life leaders last year for permitting an address by Planned Parenthood president Richards, who was greeted with a standing ovation in April 2016 as she addressed some 400 students. Students and faculty of Georgetown drafted a letter to administrators about Richards’ planned visit to the school. “I can’t wait for the day that partisan politics gets out of reproductive health care in America,” Richards said in her address, tweeted Georgetown University’s student newspaper, The Hoya.